The semitrailers of the walking floor type enable the transport of bulk cargoes of high volume and low weight. 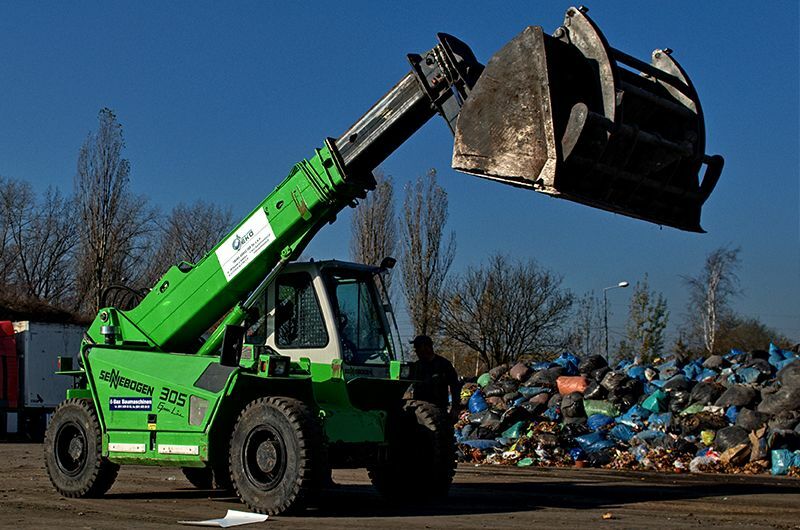 They are indispensable for the transport of municipal and construction waste, as well as alternative fuels. The company has a fleet of several dozen vehicles of that type. A part of those vehicles are equipped with the system of opening side doors, which increases comfort and diminishes loading time. 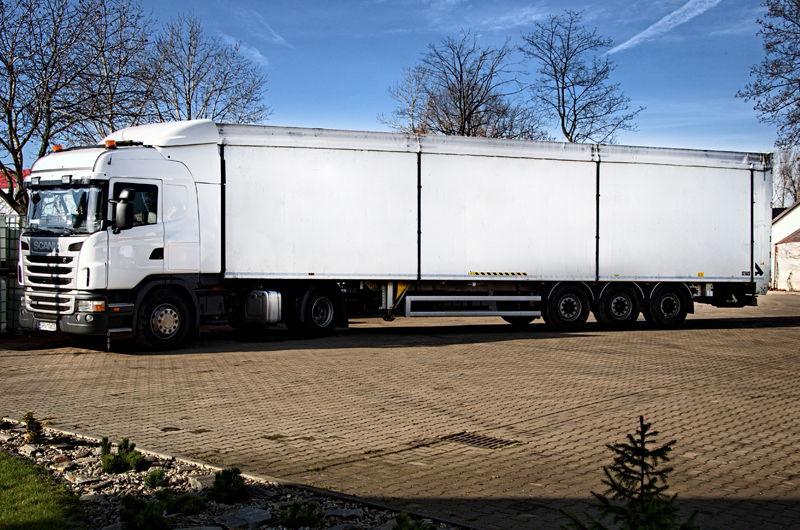 Thanks to walking floors we are able to transport waste of any volume, by sending to you vehicles which will suit the needs of your company and of the circumstances in which the team’s work will be conducted. The hooklifts are equipped with hydraulic hoists with hooks. In our fleet we have hooklifts used for sediment containers and for large containers with the capacity of 38 m3. If you need a light vehicle equipped with a structure for transporting highly hydrated waste, in Trans-Krusz you will receive tippers with the capacity of 45 m3 and 50 m3. 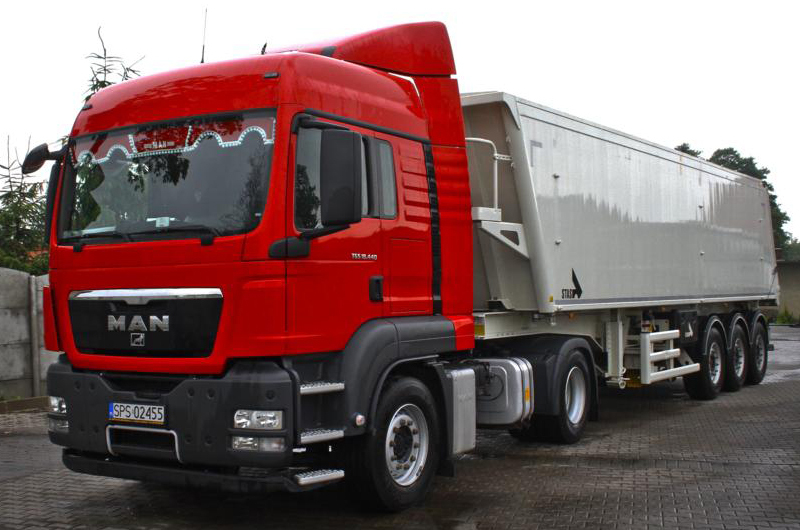 The tight semi-trailers enable the transport of waste in safe conditions. 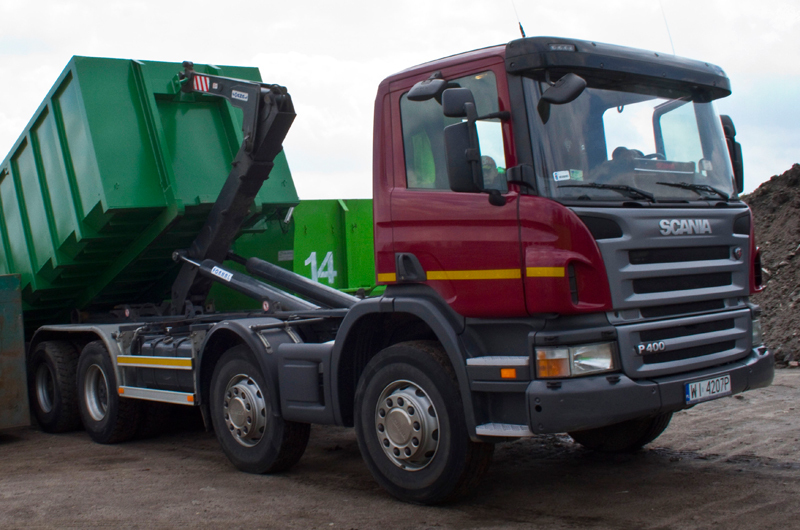 We have our own loaders which enable us to render comprehensive loading services, along with the transport of the waste handed over to us. For the Customers it means additional comfort and savings, as you will not have to engage two separate companies for performing that work. The fleet includes telescopic handlers with buckets with the capacity exceeding 3.5 m3, which makes it possible to decisively reduce the loading time. 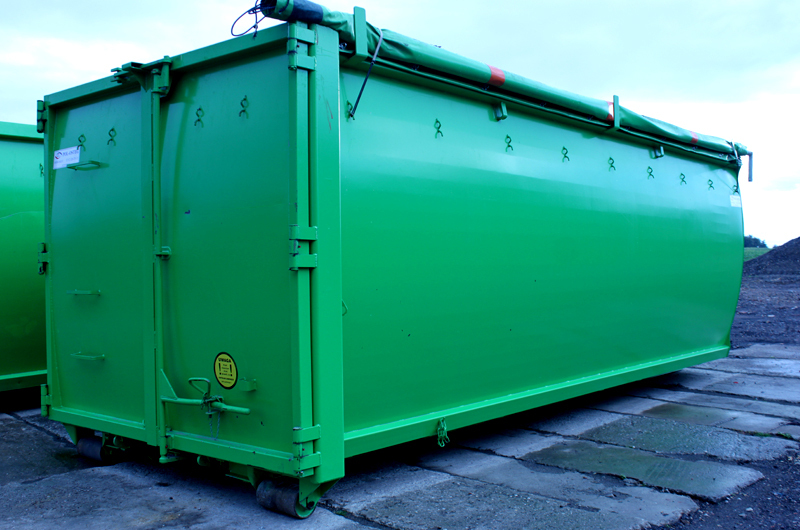 If you do not have a loader which would make it possible to load waste onto semi-trailers of a tipper type or a walking floor type, you will be able to use the Trans-Krusz equipment, comprising several dozen first-class containers, including high capacity containers (39 m3), covered with a tarpaulin. The collection of sediments is not a problem, either. In this case water-tight containers for transporting liquid cargoes will be provided (cubic capacity: 25 m3 and 27 m3).